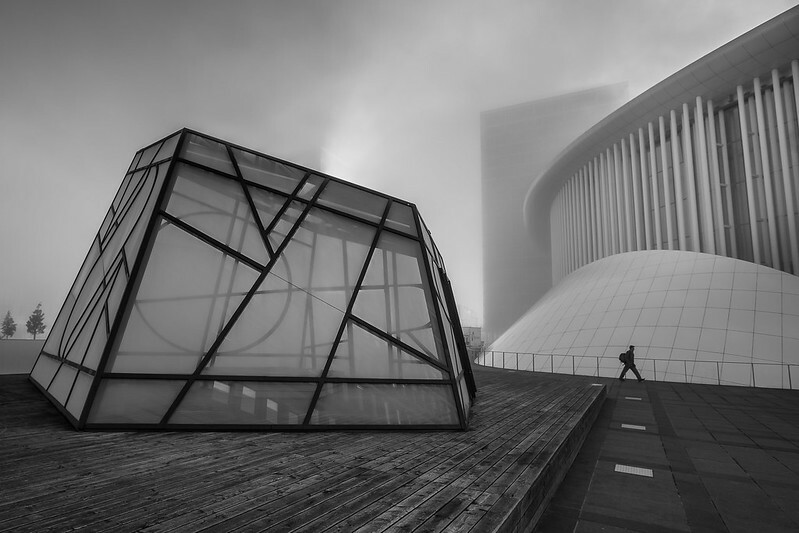 Flickr member Gediminas Karbauskis took this great shot of the Luxembourg Philharmonic building with his Canon 5D Mark II. Right Martin. Not only waited for the guy, but got his stride just right too. Sigh, I have a lot to learn. Or, I could get a DSLR again with a high frame rate and use continuous shooting to spray for shots.